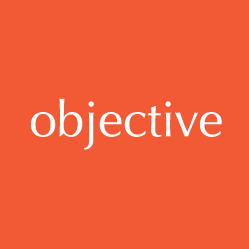 Objective IT specialise in developing native and cross platform mobile and tablet apps that allow you to extend your internal systems and databases, and use them on the move. Being able to work when on the road or when off-line is driving the smart phone and tablet app market. As specialists in business applications, we have developed mobile apps to help our clients work more efficiently. For example, recent mobile apps for business include: sales team lead management and job details for engineers working on the road. Do you want a mobile app to communicate effectively with your customers? Perhaps you need a native tablet app, focusing on either iOS or Android app development to systemise employee communications and aid staff productivity. This is especially useful when your team are off site and don’t have an active internet connection? In either case, we have the experience to help. Our talented mobile app developers also have extensive experience in data integration and mobile database development. This means we can build and integrate the back office database systems that will make your mobile and tablet apps work effectively with other internal business platforms. Contact us to chat about your mobile app development ideas. We can create a mock up for you to test before development onto your chosen mobile platform. With our mobile development skills …you can extend the reach of your business, provide mobile users with a positive experience and have relevant information delivered easily and quickly into you centralised systems. Working together, we can help you can transform your business processes, increase customer engagement and customer satisfaction through the development of first class mobile and tablet applications for iOS and Android devices. Our mobile development team, based in Essex, build native business apps for devices such as Apple iPad and Andriod Tablets. If you are thinking every device should be able to access your app, cross platform app development is the answer. We can build cross platform apps to deliver speedy, personalised content to multiple devices. Take an iterative approach – don’t expect everything to fall into place, ‘big bang’ style. Start now using small steps and phase in the mobile app development to ensure it can be adequately tested by your audience. Decide which mobile platform you want to concentrate on first. Use data to understand your audience and their goals, as this will help you prioritise your actions and gain team consensus. Understand the business implications of your mobile app development project: factor in the cost, time and skills involved in the process, and remember, mobile apps are a long-term commitment and investment. Our mobile app developers create tailor-made native and cross-platform apps to work online and offline, to send push notifications to customers, and to offer interactional or transactional experiences on specific devices. For your mobile application to work smoothly on your chosen platforms we will ensure the appropriate user interfaces are applied. Essentially, our designers consider the speed, functionality and usability to ensure you achieve a successful mobile solution.